Shock! Awe! 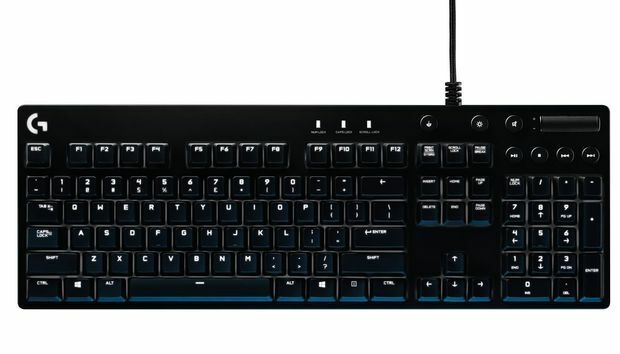 Logitech’s bringing back Cherry switches for its new G610 keyboard. After spending two years pushing its custom Romer-G keys, the company’s offering the G610 with Cherry MX Brown and Red switches. Looks-wise, the G610 is essentially a variant of the recently-announced G810. Keep the same sleek black (professional) chassis, subtract the RGB lighting, add Cherry switches and presto! A brand new keyboard—or at least a new model number. Listen, I never professed to understand how companies name their peripherals. I asked Logitech why they didn’t opt for RGB-enabled Cherry switches. They do exist, after all, and Corsair no longer has a monopoly on them. But Logitech simply said it’s keeping RGB as a feature of its Romer-G keyboards and mentioned how great the Romer-G’s backlighting is. Which is all true, but uh...okay, I guess I’ll count my blessings and be thankful Logitech is finally making another Cherry-equipped keyboard in the first place. As it stands, the G610 appears poised to be my favorite keyboard from the modern Logitech era. I like the no-frills look of the G810, I like Cherry keys, and I like volume rockers. But we’ll see whether that sentiment holds true when we get around to doing a full review.